Last week marked the launch of this tremendous book about our musical education. Growing up in Lancaster we were incredibly blessed to have a major live music venue right on our doorstep; one that all the major touring bands would play at. At the time, of course, we took it for granted. We assumed it was what universities did. And that it was the dividend for having all these hippies invade our small proud northern city. The truth was it was a perfect storm of circumstances, sparked initially by the ambition of a young entertainments officer, Barry Lucas. 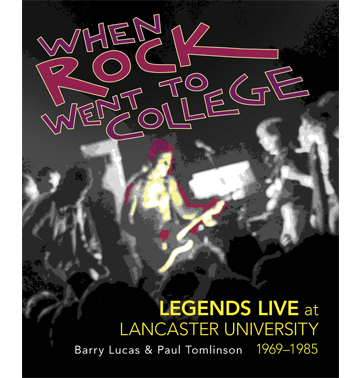 From when he booked The Who in 1970 through the next decade and a half, Barry put Lancaster on the musical map, giving youngsters like me the chance to see some of my favourite bands, including The Jam, Teardrop Explodes, Echo and the Bunnymen and The Cure, and to walk home afterwards. They were the ones I saw. The ones I missed through accident, apathy or stupidity included the Two Tone tour, the Clash, the Smiths and U2. At the launch party we were treated to some of Barry’s stories, told with great warmth and generosity, including how the University blocked the Rolling Stones, how The Who sent sandwiches to an anti-Vietnam war vigil in Market Square and that U2 were the nicest band to deal with. The two questions he gets asked more than any other are - why Lancaster? and, why did it stop? I've sort of answered the first one, it became a mixture of chance, luck, destiny and hard work. The Great Hall was just the right size for the right type of band touring at the time, and a stop off after Manchester on the way up to Scotland, the team also earned a reputation for looking after the artists and the promoters clearly liked dealing with Barry. But something else contributed to that. The Lancaster crowd was appreciative of good music, creating an unmistakable 'Lancaster stomp' and often giving support bands a chance (except Duran Duran, who were booed off and gobbed on by the local punks), and were a usually happy blend of town and gown. My copy of the book arrived earlier in the week, so I had a good look through and know the answers to those key questions. But there are loads more tales in the book - beautifully curated by Paul Tomlinson - and plenty of memories will be sparked by the enjoyment of seeing the old ticket stubs, photos and posters displayed inside. I can strike off The Triffids from the list of all-time favourite bands I wish I'd seen. Apparently I saw them support the Bunnymen in 1984, but I only really discovered them when I lived in Western Australia five years later. If you saw one of your favourite bands and don't remember, does it still count? 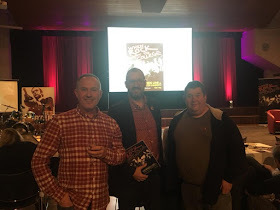 I saw a few old faces in the crowd at the launch, including the staff of the legendary Ear Ere Records, and here's my belated disclaimer - I am chuffed to bits to have my contribution to the book included, a tribute to that iconic shop. 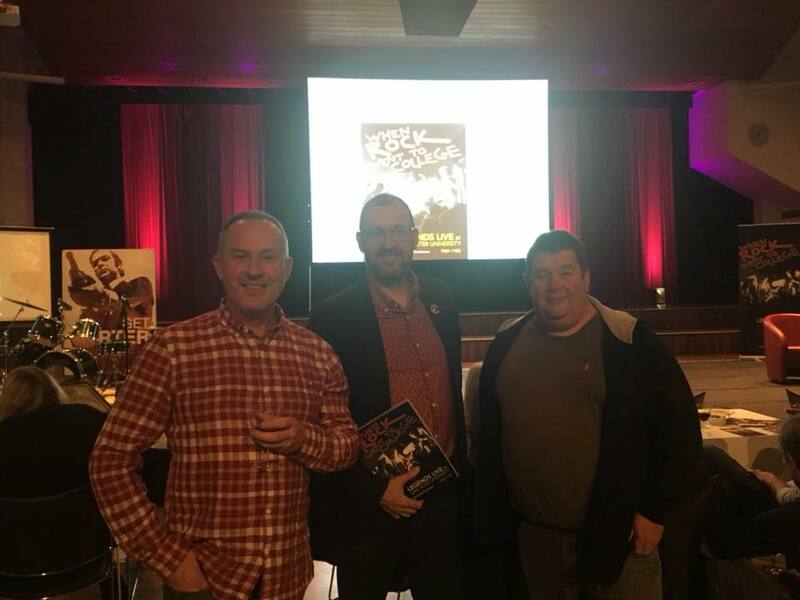 More though, it was good to go along with my old pals Jim Warwick and Dave Tinkler to reminisce about our own memories of gigs gone by. Those friends, that record shop and this live music experience have formed where I am today and I'm eternally grateful. Fact fans: the last ever gig at the Great Hall was New Order in 1985, I missed that one too. You can buy the book from the publisher, here.